Observing that there was no national branded, uniform race formats to cater for the growing ocean paddling and adventure racing market, Hydrothon was created by Steven Southwell to give those athletes and surf sports competitors, a triathlon style event. 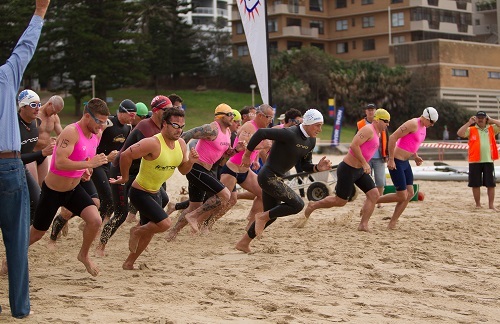 On September 8th, 2013 the first Hydrothon was held at Cronulla Beach with 29 individuals taking up this new challenge. John Holt OAM was the official starter and the inaugural winners were Hayden Allum and Katherine Condor. Later that year, Glenelg surf club hosted Hydrothon and since then "Hydrothonalists" have participated in Hydrothons across Australia and New Zealand. In 2015 Hydrothon 4K was developed to give 11-15year old kids a chance to experience a Hydrothon event. The first official "H4K" was held at Mairangi Bay, NZ and today all Hydrothon events include Hydrothon 4K. In 2015, we also introduced our surf sports camp for kids which in 2016 we re branded these camps, Hydrothon NextGen. NextGen give kids the opportunity to learn from elite athletes through seminars, workshops, practical skill sessions and online via our NextGen Forum and Webinars. In 2018, Hydrothon Legend will become our flagship event. The 3km Swim, 26km Ski Paddle and 21km Run will test not only your body but also your mind. We are looking forward to sharing more information with you in the near future but as a finisher, you will have earned the right to call yourself A LEGEND.